Arsene Chabanian was born in the village of Sunints in Karin (Erzrum, Western Armenia). He studied at the Murad Raphaelian College of Venice. 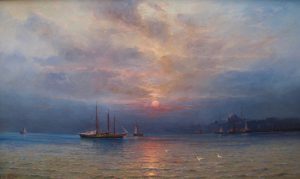 Chabanian worked in Batumi afterwards, from where he had the opportunity to leave for Theodosia in 1890 to get acquainted with Aivazovsky and take his advice. 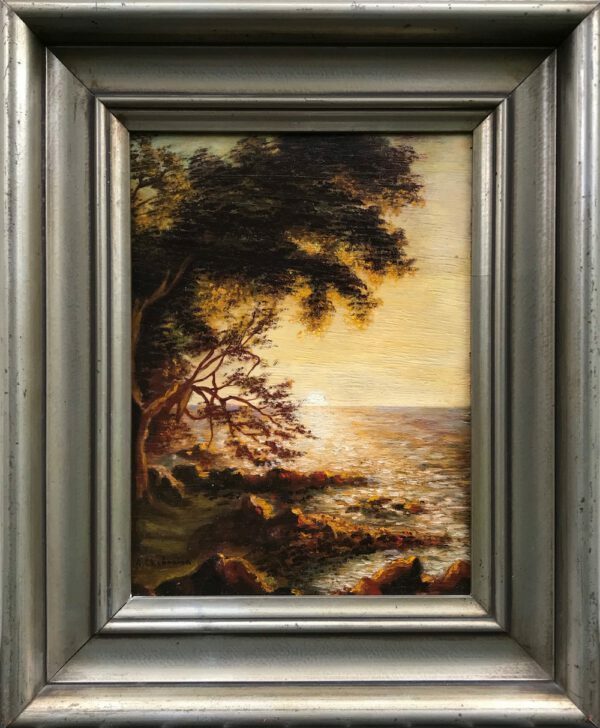 During this period Chabanian also makes copies of Ayvazovsky’s paintings to perfectionate his knowledge of arts.One of the artist’s first independent paintings – a landscape depicting the port of Batumi, gains much public attention. Excited from this success Chabanian leaves for Paris and enters Julian Academy. Here his teachers were such prominent masters as Gustave Moreau, Jean-Paul Laurens and Benjamin Constant. 1894 First exhibition at the Salon of French Artists. In 1900 Chabanian takes part in Paris World Exhibition, where his seascapes were shown along with those of Aivazovski and Bashinjaghian and had a wide repercussion in the French press. Besides of being a celebrated marine painter, Chabanian was one of the first artists to use the technique of colored engraving, the founder of the “Union of Marine Painters of Paris” and the “Company of Colored Engraving”. With equal success he painted with pastel, created marvelous landscapes and still-lifes. In 1926 one of the most famous galleries of Paris of the epoch – Georges Petit, organized the personal exhibition of the famed painter. In the same year Chabanian was appointed to the rank of Knight of the French Legion of Honor.